Why is China Isolating Japan and the Philippines? Even as they charm other nations, Chinese leaders have continued tensions with Manila and Tokyo. One of the more curious aspects of China’s greater assertiveness in recent years has been its comprehensiveness. 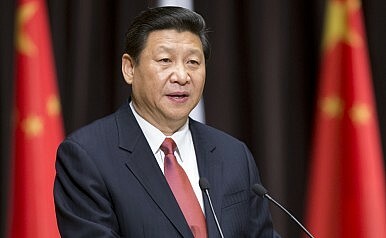 Historically Chinese leaders have pursued a divide and conquer policy towards their neighbors, and with great success. Over the last year or two, however, China has seemingly tangled with just about anyone and everyone (arguably excluding Russia and Pakistan). In certain cases, like the incident last year where it issued new visas that sported an expansive map of China on it, Beijing has simultaneously angered most of its neighbors with a single, pointless action. The results have been all too predictable: China’s neighbors have increasingly banded together in an attempt to offset Beijing’s superior power. Thus, we’ve witnessed developments like India’s Look East policy finally gaining some traction, while Japan has greatly expanded its influence in ASEAN. At the same time, China's neighbors have increasingly courted external powers to assist them in their efforts to balance its rise. Over the last couple of months China has begun walking back this policy. Thus, Xi Jinping and China’s top leaders have revamped their predecessor’s smile diplomacy in places like Central and Southeast Asia. They have also courted India after repeatedly provoking it earlier in the year. Even relations with the U.S. have gradually improved, as is evident from the growing military-to-military ties between the two powers. Two nations that have been pointedly excluded from China’s charm offensive are the Philippines and Japan. Beijing has made it a point of maintaining tensions with them and rejected overtures from their respective leaders. This is generally in line with a “divide-and-conquer” strategy. Nevertheless, it raises the obvious question of why Chinese leaders have decided to retain tensions with the Philippines and Japan while improving them with other countries, even those it maintains territorial disputes with such as Vietnam and India. There are a number of possibilities. With regards to Japan at least, Chinese scholars have noted that Beijing views the outstanding dispute over the Diaoyu/Senkaku Islands as qualitatively different from its other territorial disputes. As Fudan University’s Shen Dingli has explained, “For the East China Sea, it is more political. China considers we have been invaded by Japan, and Japan has stolen our island. But for South China Sea, it’s largely about economics.” Still, this can only explain why China has targeted Japan, not the Philippines. Another possibility is that China has decided to target Japan and the Philippines because they are treaty allies of the United States. Leaders in Beijing may therefore calculate that China has less to lose by clashing with Manila and Tokyo because they are already firmly in America’s camp. By contrast, antagonizing countries like Vietnam and India risks pushing them into the U.S. camp, as has indeed been happening. It’s worth noting, however, that China hasn’t targeted other U.S. treaty allies like Thailand and South Korea, and indeed has been courting them. However, Beijing doesn’t have outstanding territorial disputes with Thailand or South Korea (at least South Korea as it’s currently configured). A less obvious but equally intriguing possibility is that Japan and the Philippines are being targeted because they don’t share land borders with China. As is well known, China has spent the last few decades overhauling its naval and air force while paying relatively less attention to its traditionally dominant land forces. It has had the ahistorical luxury of doing so because it was largely pacified its land borders with its neighbors, sometimes by agreeing to make concessions. China’s continued projection of power outward depends largely on its ability to maintain tranquil land borders. Intense and prolonged disputes with neighbors that it shares borders with could therefore put its march out to sea in jeopardy. Thus, if China wishes to maintain strained ties with any powers, it has relatively less to loss by doing so with countries that don’t border it on land. Taiwan: An Emerging Asset for Chinese Expansion? A cross-Strait political agreement could bolster both Chinese and Taiwanese claims in East Asia.